Hey everyone! Things have been super crazy on my end lately. Sometimes I feel like being busy never, never ends but at the end of the day it's better to be too busy than not busy enough, right? If you follow my Twitter, you may have heard some murmurings about the New York Times contacting me for an article. I promise I'm not trying to be too mysterious about it, I just don't want to jinx myself before it comes out! I have my fingers crossed that it will promote my opinions and myself in a positive manner. If not, there is always the saying that there's "no such thing as bad publicity". No worries, the article isn't about me, it's just about circle lenses. ;) I'll definitely link it or scan it or whatever once it comes out but I don't actually know when that will be! 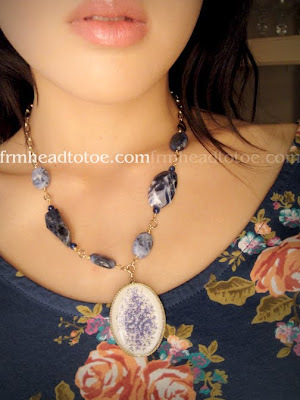 Anyway, on to the main topic of this post, here is a truly belated review I did on Janth Avenue jewelry and Joyce Jewelry. Both sweet ladies had sent me some wonderful items and I wanted to share them with you. (By the way, I didn't choose this screencap. It was youtube's HAPPY default! lol) This was recorded a couple months ago so forgive my Spring/Summer reference! I forgot to add this in the video, but she also sent me this lovely scarf! I love the lightweight, soft texture and I've been mad about florals all spring and summer so I definitely wanted to show this off. I've been wearing it with EVERYTHING. 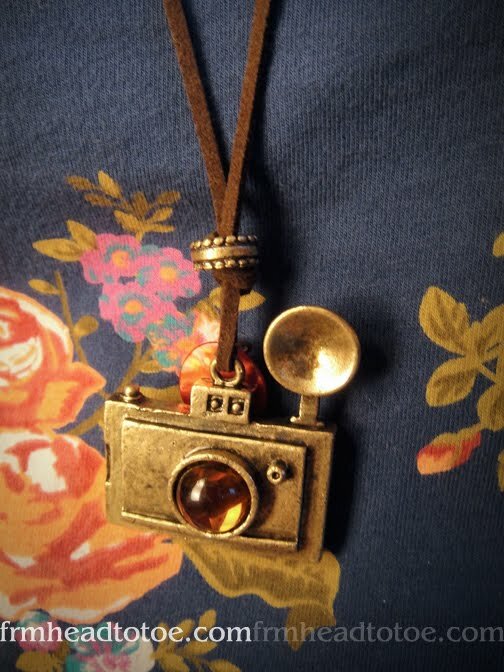 the necklace with camera is fashionably unique...love it!!! Darn I wish I got that dress now. 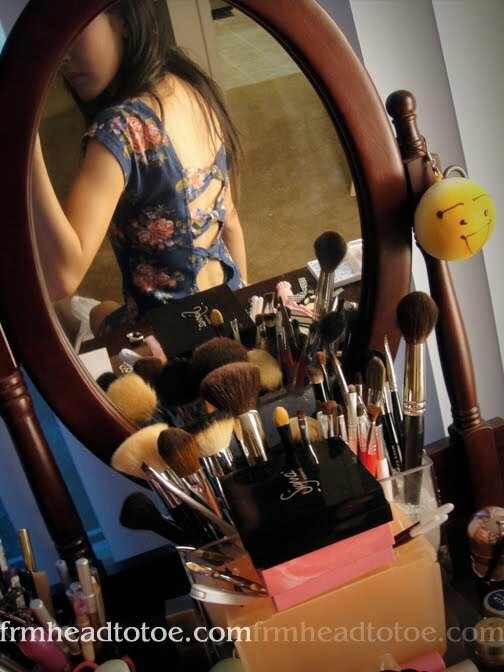 Forgot how cute the back was! Love the back on that dress! And you're so skinny! I think your wrists are probably my size... where do you find any bracelets that fit? I can't remember if I commented on your blog earlier..but I'm a pretty recent follower!! Love your vids! PetiteAsianGirl: I have such a weak spot for t-shirt dresses and the print of this one is so cute! I was lucky it fit since I ordered online. :) I'm still jealous of your blue floral dress that you wore with that mustard cardi! PetiteXXS: I have so much trouble with bracelets too! I usually try to find those clamping ones (with a spring on one end) since they run small. Bangles are pretty much out of the question for me. :P I think I'm going to look for children's bangles sometime. I really like this top & the jewellery pieces look great! May I ask what foundation + blush you're wearing? the glow factor is just right <3 Thank you! if you don't mind me asking, what false eyelashes are you wearing? ..or are they you're real eyelashes? hahah. thanks! I've just watched this video. You look very gorgeous. I liked what you're wearing in this video a lot. Thanks for shearing with us! Awesome T-Shirt! Looks soooo good on you! Esther: I'm wearing discontinued Sugar criss-cross falsies, my fav. Thanks for letting me know Jen :) bb cream glow is <3 i'm using l'egere atm. now I really want to try lioele/skin79!! what lashes are you wearing here? I really like the scarf, can you please tell me where who to get it from? thx !